The son of a cleric, Raisi was born and raised near Mashhad, Iran’s second largest city and site of some its holiest religious shrines, including the Imam Reza complex, which he now oversees. As a seminary student in 1979, Raisi joined the protest movement against Iran’s Western-backed monarchy, and was soon thereafter tapped for service in the new Islamic regime. He became a law clerk in the city of Karaj, near Tehran in 1982, and then deputy prosecutor-general of Tehran Province in 1985. When Ali Khamenei, also from Mashhad, became Supreme Leader in 1989, he elevated many men from his hometown to prominent positions in the government and judiciary. Raisi was made prosecutor-general of Tehran Province and would go on to hold progressively more influential positions in the judiciary, government and clergy including those of, head prosecutor for the Special Court for Clergy (a court which prosecutes misdemeanor offenses by clerics), member of the Assembly of Experts (a body which elects and can impeach the Supreme Leader), and overseer of the Imam Reza shrine. Raisi has been described by analysts as an “apprentice” to Ayatollah Khamenei and is speculated to be a strong candidate to succeed him as Supreme Leader. In 2017, Raisi ran against incumbent President Hassan Rouhani on a populist, conservative platform. He blasted the 2015 nuclear deal with the West, called for economic self-reliance as opposed to greater international trade, vowed to raise welfare benefits and endorsed gender segregation and “Islamization” of higher education. Despite support from conservative clerics and the security forces, Raisi was defeated by President Rouhani, having garnered only 38% of the vote. In December 2018, Ayatollah Khamenei appointed then-Chief Justice, Sadeq Amoli Larijani, chairman of the Expediency Council, which resolves disputes between Parliament and the Guardian Council, a body which determines the constitutionality of bills passed by the legislature. It was due to this vacancy, Raisi became Chief Justice in March 2019. What Powers and Responsibilities Does Iran’s Chief Justice Have? Whereas in the United States, the role of the Chief Justice is largely confined to the Supreme Court and some aspects of the federal judiciary, Iran’s constitution gives the Chief Justice immense authority over the national judiciary, as well as some executive and legislative powers. The Chief Justice of Iran is appointed by the Supreme Leader and the only requirements for appointment are that the individual must be “well versed” in the law, possess “administrative abilities” and have achieved the rank of mujtahid, which reflects expertise in Islamic law. Unlike in the U.S., legislative consent is not required, but the position is not held for life, rather for a five-year term, which is in practice renewable once. Once in place, the Chief Justice oversees the entire Iranian judiciary. He determines how it will be structured, appoints, and can dismiss, all judges, including justices of the Supreme Court; and proposes a list of candidates for the position of Minister of Justice from which the President must choose when making the appointment. Furthermore, the Chief Justice appoints representatives to the state bodies responsible for censorship of the media and internet. He can also monitor the assets of other government officials and their families to detect possible corruption. The Chief Justice also has a strong presence in the policymaking process. He is responsible for drafting bills related to judicial matters for submission to the Parliament, and appoints six of the twelve members of the Guardian Council, which can veto legislation it deems inappropriate on legal or religious grounds. Finally, the Chief Justice, in conjunction with the President and a member of the Guardian Council, can temporarily assume executive authority in the event the office of Supreme Leader becomes vacant. Why is Raisi’s Appointment So Controversial? Controversy surrounding Raisi comes primarily from his involvement in the massacres of at least 5,000 political prisoners during the Iran-Iraq War. On July 28th, 1988, days after an armed incursion into Iran by the People's Mujahedin of Iran (MEK or PMOI), an anti-government militant group backed by Iraqi dictator Saddam Hussein, then-Supreme Leader Ayatollah Ruhollah Khomeini ordered the execution of all prisoners in Iran suspected of harboring “steadfast” pro-MEK sympathies. Inmates were selected for execution by what have been termed “death commissions” in each province. These would consist of one Sharia judge, the provincial prosecutor-general or his deputy, and a representative from the Intelligence Ministry. Amnesty International reports that these commissions held “summary and arbitrary” proceedings without concern for identifying any actual connections between inmates and the MEK. Letters by Grand Ayatollah Hossein Ali Montazeri, who was deputy Supreme Leader at the time of the massacres, reveal that Ebrahim Raisi, as Tehran’s deputy prosecutor-general, was a member of the province’s “death commission.” The Tehran commission is known to have interrogated inmates largely about religious matters such as their belief in Islam and their prayer habits. Those who failed to demonstrate sufficient piety were executed or beaten. According to Montazeri’s writings, Raisi’s commission may have put to death at least 750 to 950 inmates. Raisi broke his silence on the massacres in 2018. He did not deny a role in the killings, but argued that they were not improper because all those who died were already sentenced to death under the normal judicial process. Amnesty International calls this narrative “completely unsubstantiated” and part of a long-running “disinformation campaign” by Iranian officials. What Is Raisi Likely to Do as Chief Justice? In response to Raisi’s appointment Iranian human rights activist and Nobel Peace Prize laureate Shirin Ebadi, said “it is replacing bad with worse.” The “bad” Ebadi was referring to is former Chief Justice Larijani, whose actions she called “not acceptable.” Larijani, also a conservative cleric, arguably provides a strong indicator as to what a Raisi justiceship will look like for Iran. Death sentences and executions increased markedly in Iran during Larijani’s term as Chief Justice, with the average number of annual executions skyrocketing from 250 in the six years before he took power, to about 750 in the six years after. The United Nations reported in 2011 that Larijani himself directed judges to expand their use of the death penalty, especially for drug offenders, scaled back public reporting of executions and reversed his predecessor’s restrictions on public executions. He also threatened merchants protesting rising inflation with execution in 2018. Raisi’s unashamed response to his role in the 1988 massacres and adamant support for death sentences handed out to protestors during nationwide anti-government protests in 2009 suggest that as Chief Justice, he will at-best continue liberal use of capital punishment by the judiciary, and may expand it. Despite constitutional guarantees to the unimpeded right to legal representation, Larijani’s tenure saw significant curtailment of access to legal counsel, particularly for Iranians charged with political offenses. A 2015 amendment to the Iran’s Code of Criminal Procedure, empowered the Chief Justice to determine which lawyers were allowed to represent defendants held on security-related charges, charges which are often used as pretexts for incarceration of political dissidents. Larijani not only did not release his list of approved lawyers until 2018, it has not been made public and the judiciary has been cracking down on unapproved human rights lawyers who try to assist security detainees. Since August 2018, at least 7 human rights lawyers have been criminally charged. Among them is renown human rights lawyer Nasrin Sotoudeh, whose case has attracted international outcry in March 2019 after she was sentenced to 38 years in prison and 148 lashes for her work supporting incarcerated women and political dissidents. Sotoudeh was denied legal representation of her choice and sentenced in absentia. Again, given his participation in the 1988 “death commissions” and unrepentant stance, it is unlikely that Raisi will do much, if anything, to ensure that rights to legal counsel are always enforced. In fact, since he took office, As’ad Behnam Ebrahimzadeh, a labor union activist was sentenced to six years in prison on charges of “propaganda against the state” and “membership in illegal organizations,” by a Tehran court after a ten minute trial and no access to a lawyer. Particularly over the past two years, Larijani’s judiciary assumed an increasingly active role in censoring internet content and online activity in Iran. Traditionally, censorship decisions are made by state organizations in which the judiciary, security forces and the President’s office are represented. However, in 2018 with the popular messaging app Telegram, and in 2019, with the picture and video-sharing social networking site Instagram, judicial officials have unilaterally declared total bans without opposition from the Rouhani admiration which had hitherto actively opposed censorship efforts. Expanding censorship of the internet is perhaps to be expected under Raisi. As a presidential candidate, he argued that the government must play an “active role” in censoring the internet, or else it would pose “a risk to young people,” lead to the “the promotion of Western culture,” “materialistic” thinking and ultimately the “collapse” of cultural, social and familial structures. The one area even some key reformist figures in Iranian politics expect Raisi’s tenure to differ positively from Larijani’s is judicial corruption. Raisi made rooting out corruption at all levels of government a key plank in his 2017 campaign platform and reaffirmed his commitment to it in his inaugural speech to the nation’s judges and prosecutors on March 21st. Raisi ordered judicial officials to be transparent with the public about their activities, submit reports to him on how they intend to increase communication with the public, “stand against influence,” and not engage in improper relationships or violate defendants’ rights. He has also already pledged strict judicial oversight of ongoing flood relief efforts in Northern Iran. Not all however, are convinced by Raisi’s claims to fight corruption. 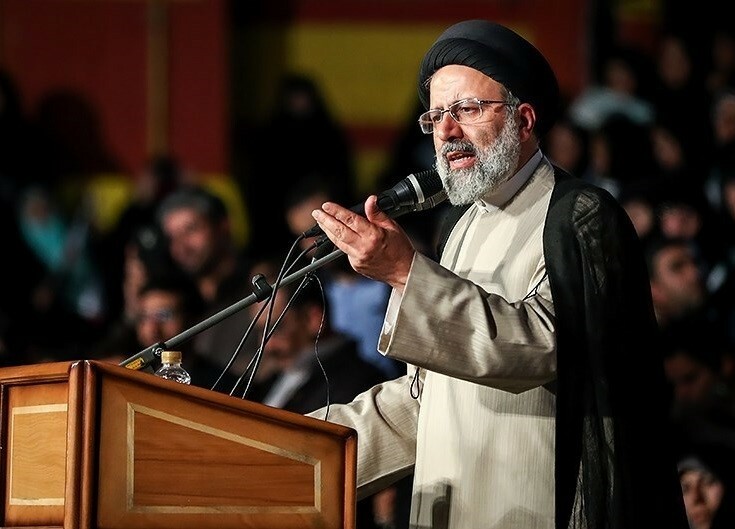 During the 2017 elections, reformist cleric Hossein Ghayyoumi posed the question of why Raisi “has not [already] fought corruption within the judiciary” despite having served there in prominent roles over the past four decades. Furthermore, his own non-transparency regarding the 1988 massacres call his recent commitments to judicial transparency into question. What Does This Appointment Say About Raisi’s Future and Iran’s? Since the 2017 elections, analysts have considered Raisi a candidate to one day succeed the aging Ayatollah Khamenei as Supreme Leader. His appointment as Chief Justice and then as Deputy Chairman of the Assembly of Experts less than a week later, have propelled him to frontrunner status in the eyes of many. Whether or not Raisi eventually becomes Supreme Leader, his record as a judicial official over the past four decades and the hardline conservative views he has expressed, indicate strongly that significant progressive change to the Islamic Republic’s respect for human rights and approach to political dissent may not be forthcoming any time soon.